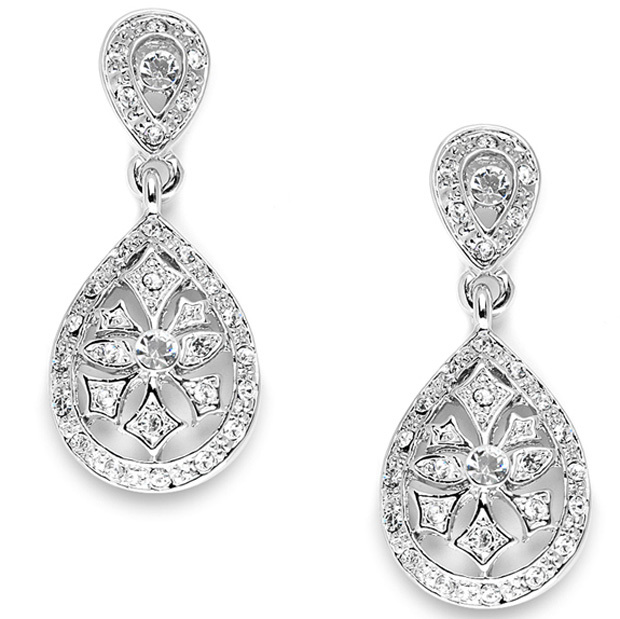 * Mariell's Vintage Cubic Zirconia bridal or bridesmaids earrings have antique rhodium plating for the look of real heirloom jewelry! * At 1 3/8" h x 5/8" w, these are popular medium sized earrings available at an irresistible wholesale price! * Mariell has created a modified version of one of our best-selling Cubic Zirconia bridal earrings at a wholesale price to fit every budget!! * These popular vintage earrings are plated in antique silver rhodium giving them that gorgeous look of real heirloom jewelry! * They make great bridesmaids gifts & are sure to be a mainstay in your store's bridal accessories display!